Every January, sheepherders and their families from across western Utah and eastern Nevada converge at the state line for a weekend of comradery. But the event is more than mere reminiscing: the Gathering is a venue for passing on history to younger generations and sharing a bit of sheep industry culture with the non-initiated. The mission of the Old Capitol Storytelling Festival is to encourage and enable the artful telling of the stories of the Utah Territory of the 1850’s, including its prehistoric past, its indigenous peoples, and its contemporary concerns. Southern Nevada Water Authority (SNWA) is proposing to construct an 84-inch, 300-mile pipeline from eastern Nevada to Las Vegas. The Snake Valley Festival is held once a year to raise funds to help protect our desert ecosystem from this “water grab”. 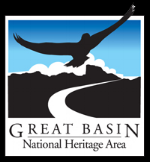 For more information please visit Great Basin Water Network. Join us at the Community Church for our multi-denominational service. Join our extended community at the Snake Valley Community Center for conversation, snacks, coffee and iced tea. All ages welcome! Children must be accompanied by an adult.